Okay, I know it's TECHNICALLY Wednesday, but I meant to post this yesterday and then my computer decided blogger was a site that deserved to be blocked. Blah. Regardless, TV Tuesday is back! And I'm here to feature some MORE anime. Last time I featured two very popular series, today I'm going to focus on two series that will bend your mind (in both good and bad ways). This is actually a pretty tricky series to find. The DVDs are very expensive, and I'm not sure where it "officially" available online. 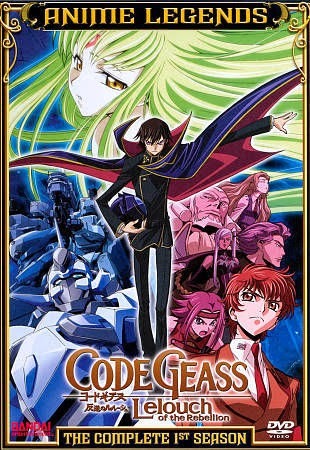 But if you just google "Watch Code Geass" I'm sure you can find it. It's an incredibly popular series, and for good reason. This series takes place in an alternate-universe Earth where the British Empire has taken control of most of the planet. This show focuses on what happens after the British Empire (known as Brittania) takes of Japan, and renames it Area 11. The protagonist of the show is a young man named Lelouch, who is Brittanian, but is living in Area 11. We discover that he is the son of the Brittanian emperor, but he is in hiding and attempting to bring the empire down. 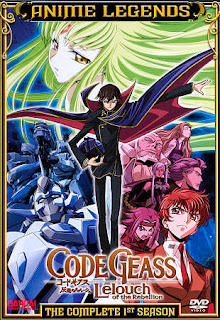 Lelouch is already a brilliant young man. He has a mind that works faster and sharper than almost any other. But he still doesn't know how he can take down the empire and free Japan. But all of that changes when a dying young woman gives him the power to command people, and they cannot refuse him. But I didn't just fall for the story, the characters are also excellent! 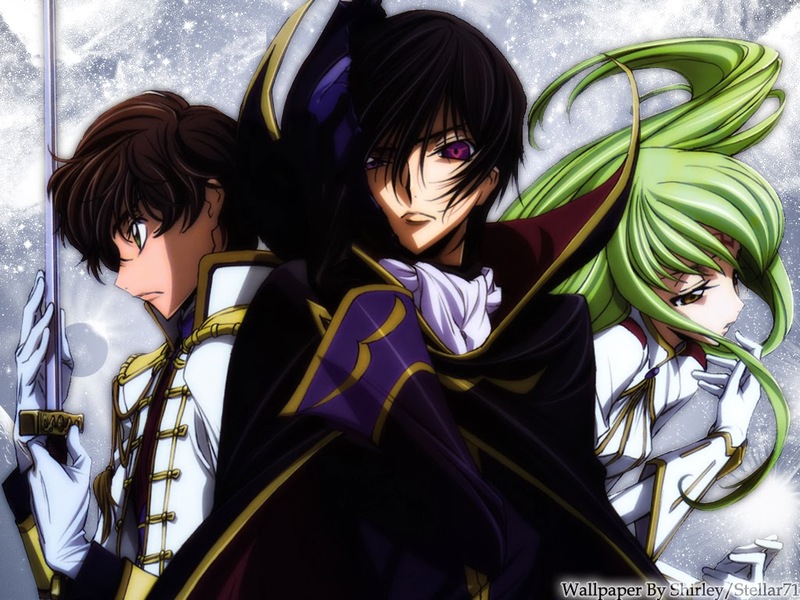 At first I had a hard time taking Lelouch seriously. But then after I finished I realized: I don't know if you are supposed to take him seriously. I have come to the conclusion that he was crazy the entire time. He's crazy-brilliant, but still crazy. All in all, I love this show. And it's definitely one I will never forget. As a disclaimer: this show is rated TV-14 I believe, however there are a couple flashes of female chests and rears. It's more annoying than crude. This series... whoa. This series. How to describe this series? I suppose I should start by saying that the whole series is only 12 episodes long. So even if you end up hating it, it won't have wasted much of your time. Yeah. That's an AWESOME introduction, Enna. I guess I should explain by saying that this series is WEIRD. It is probably the weirdest anime I have ever seen. Because you look at that picture and you think it's going to be a typical magical girl show (think Sailor Moon) and then it turns out to be this crazy dark and mind-bending.... thing! 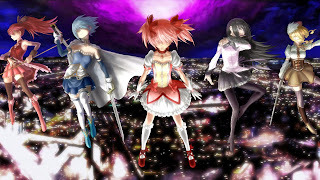 The story centers around Madoka Kaname, a middle school student. A new student (Homura) transfers into her class and sends off some seriously weird vibes. Later that day, Madoka discovers a magical rabbit-thing that offers to grant any wish Madoka has. Really, anything. 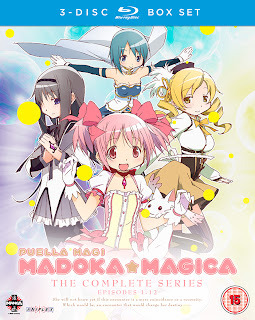 And in return, the rabbit-thing (whose name is Kyubey) will give her magical powers and Madoka must fight evil "witches." But suddenly Homura appears and chases off Kyubey. 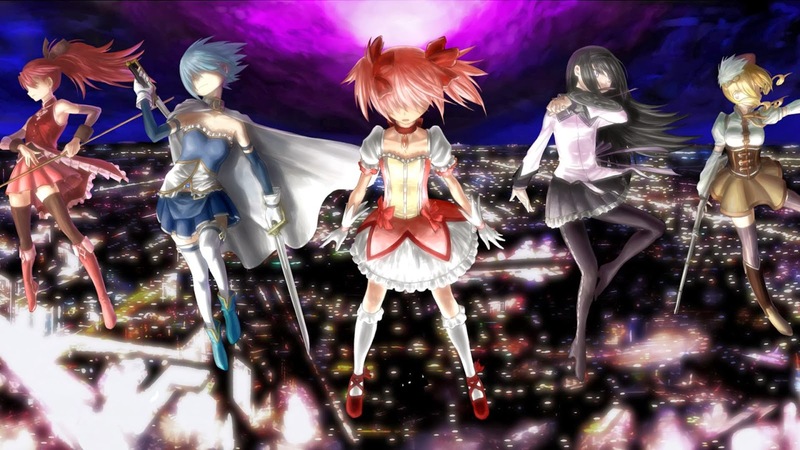 Homura practically begs and threatens Madoka not to become a magical girl. 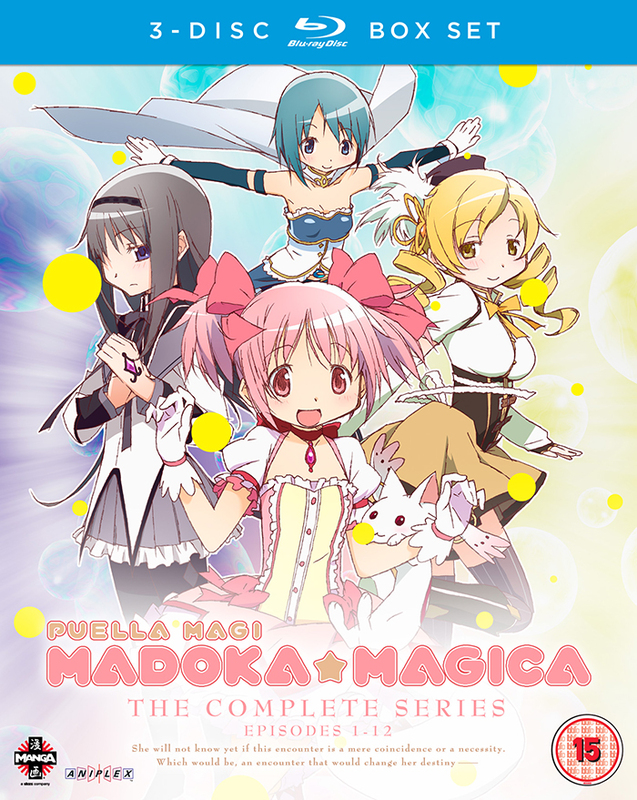 As the story progresses we meet several other magical girls, and watch as Homura continually tries to thwart them. It's very unclear who the good guys and the bad guys are. And the farther along you go, the more you realize that being a "magical girl" might not be as innocent as it sounds. @Ghost, I adore Princess Tutu. H-hello? Can I come back now?